Archaeological surveys and architectural explorations in the context of a study for the Indo-French Project for the Revitalization of the Walled City of Ahmedabad in 2004, then continued for my PhD and advanced studies (from 2005 onwards). 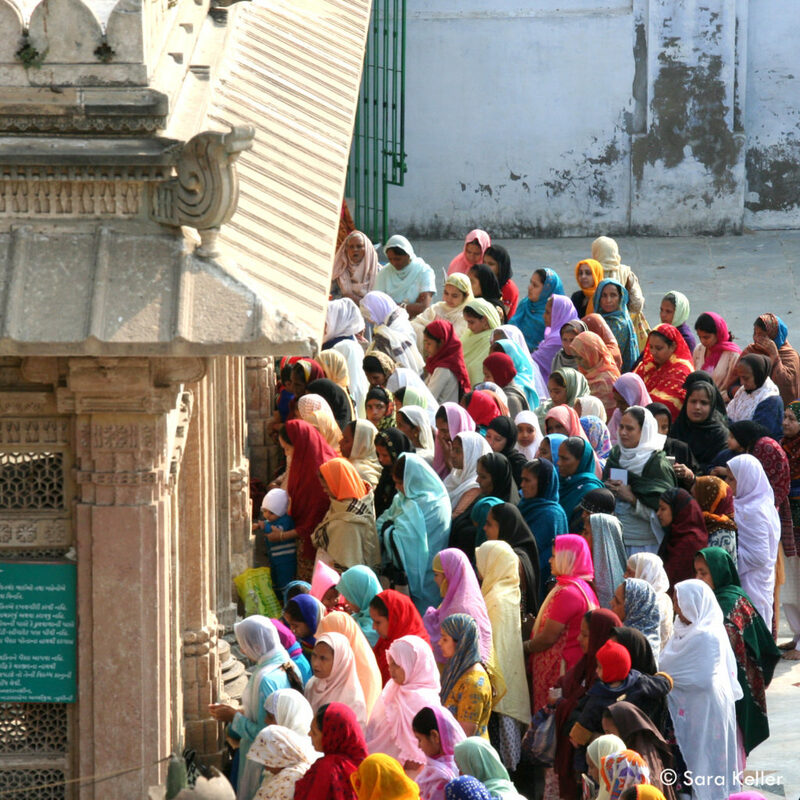 – Bilingual brochures and posters (English and Gujarati): ‘Stone Mosques of Ahmedabad- Amdavadni Pattharni masjido’. Printed with the support of the French Embassy in India and Lalita (Baroda, India). Poster gifted to all the listed historical sites of the walled city. 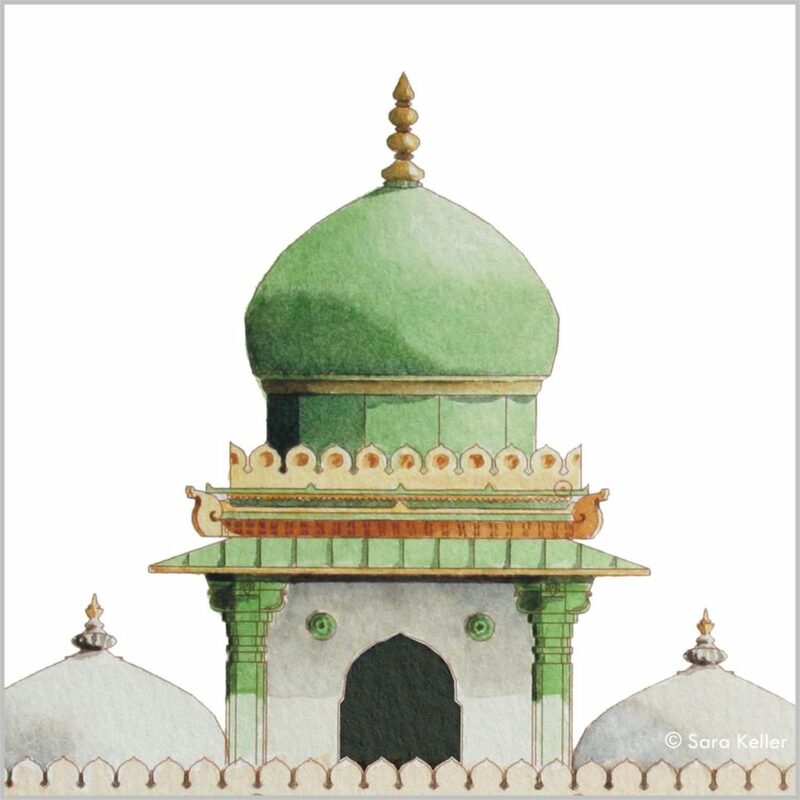 – Architectural survey and watercolours of the historical monuments of the walled city of Ahmedabad -cf. 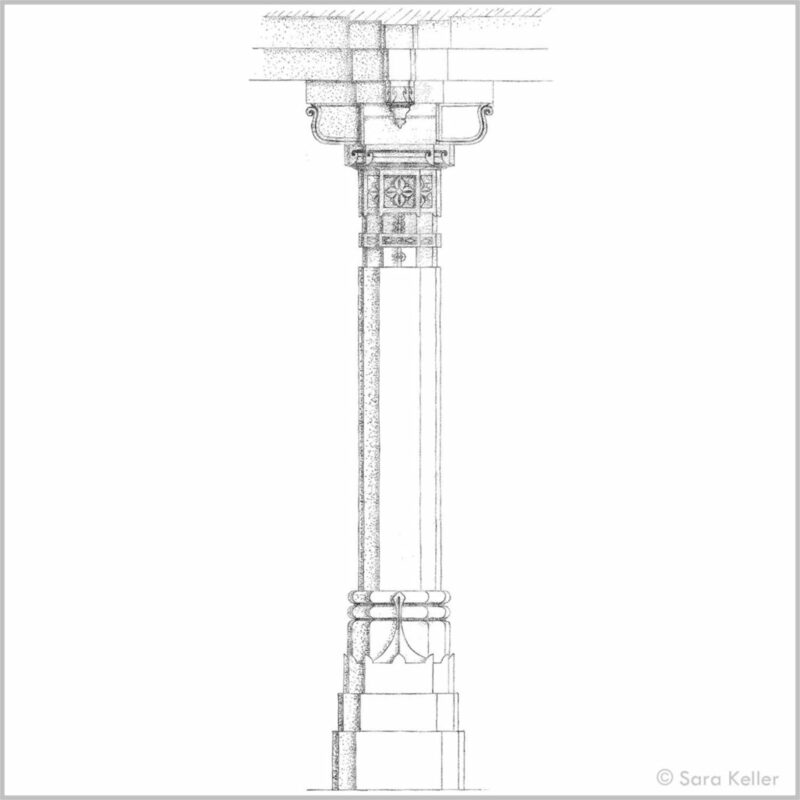 KELLER, Sara. 2009. Le miroir du Gujarat. Les monuments islamiques de la cité d’Ahmedabad (Inde, XVe-XVIIIe siècles) : étude archéologique. 3 volumes (Volume 1: 366 pages). 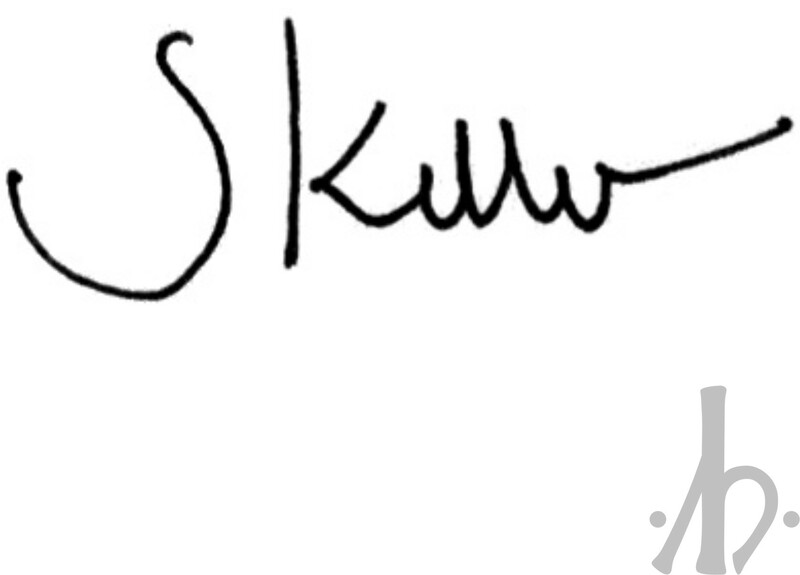 Unpublished thesis, available in French University libraries. 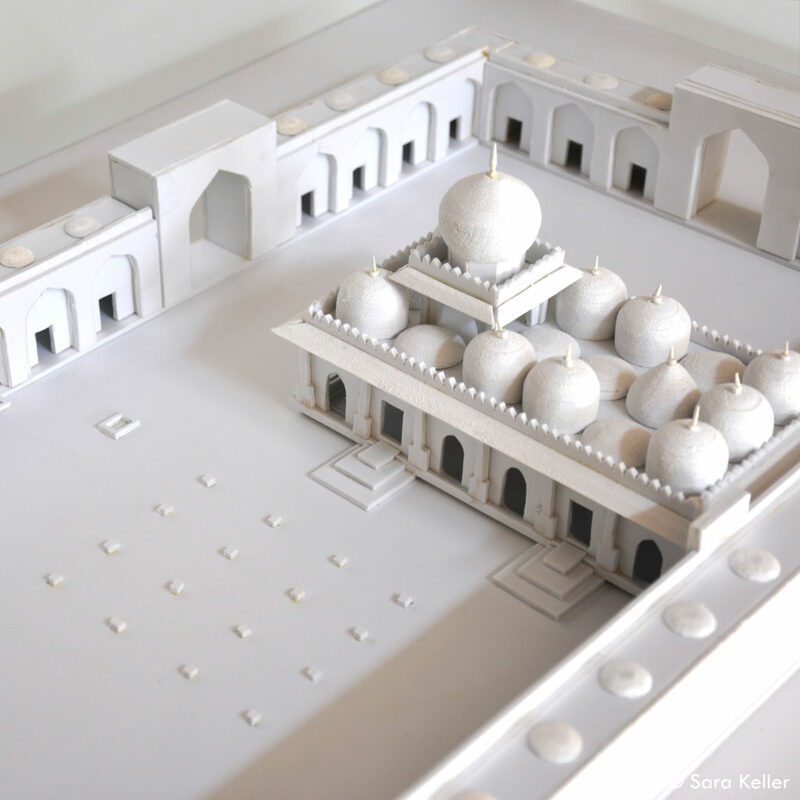 – Exhibition ‘Le site soufi de Shah Wajih ud-Din Alawi à Ahmedabad’ on 23 and 24 September 2010 at EHESS, Paris. At the occasion of the colloquium “Shrines, Pilgrimages and Wanderers in Muslim South Asia” organized by Michel Boivin and Rémy Delage. 16 frames (reproductions of surveys, drawings, watercolours and photographs) printed and framed by Lalita, Baroda, India. 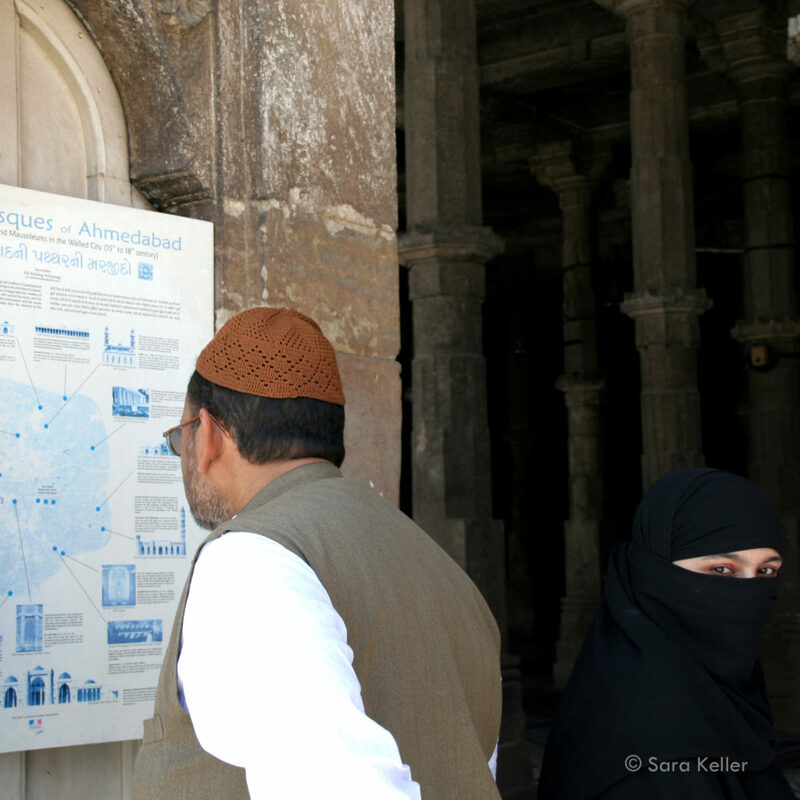 – Exhibition ‘Islamic Heritage in Ahmedabad: the case study of Shah Wajih ud-Din Alawi convent’ at the Alliance Française d’Ahmedabad at the occasion of World Heritage Week (21-24 November 2013). Frames (reproductions of surveys, drawings, watercolours and photographs), banners et model (historical reconstitution of the convent).